This light/medium duty Panasonic microwave features a range of features designed specifically to make it as easy as possible to gain maximum performance from its use. Featuring a formidable 22 litre capacity, and capable of outputting 1000w, the Panasonic NE-1037 can easily tackle the needs of a busy kitchen. 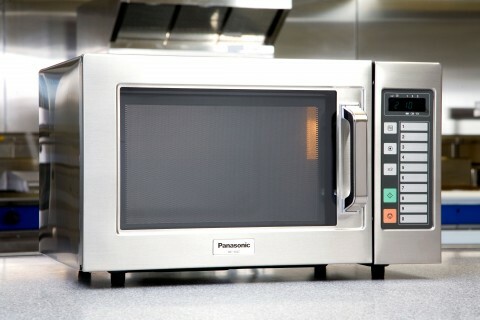 With 10 programs, a pull open door and a stainless steel body and cavity, the Panasonic NE-1037 commercial microwave is also extremely easy to use.